SFC (Ret.) Warren Jones of Orlando, Florida went home to be with the Lord on September 11, 2018 in the Orlando Regional Medical Center in Orlando, Florida. He was 58 years old and a native of Panama City, Florida. He was born in Panama City, Florida to Everlene and Wintford Jones on July, 12, 1960. Baptized at an early age at Greater Friendship Baptist Church. He graduated from Bay High School in 1978. He married Johnnie Green on March 25th, 1989 in Lecompte, Louisiana. He graduated from St. Louis University in 2007 with a Master’s Degree in Education. He worked as a Principal for Innovational Middle Charter School for over ten years. 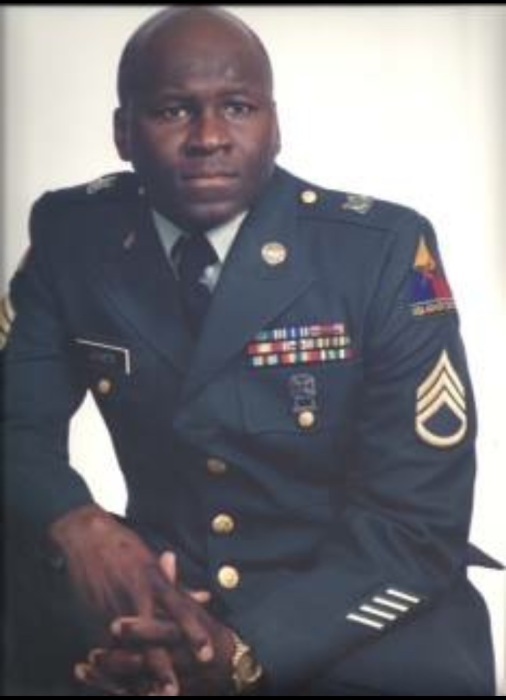 He was a veteran of the Gulf War and served in the United States Army for 21 years and was awarded a variety of metals and awards. He was the Vice President of the Vette Masters Corvette Club of Florida and an active member at Parkview Christian Life Center. Warren Jones is preceded in death by his father, Wintford Jones; son, Warren N. Jones, and aunts, Odessa Kyles, Maebelle Brooks, and Virgina Jones. Visitation will be Tuesday, September 18th, 2018 from 5-7 PM EST at Mitchell’s Funeral Home located at 501 Fairvilla Rd, Orlando, FL 32808. A separate visitation will be held Thursday, September 20th from 10AM-12PM CST at Greater Friendship Baptist Church, located at 909 E 8th St, Panama City, FL 32401. Funeral services will be held at 12 Noon CST, Thursday September 20th, 2018 at Greater Friendship Baptist Church located at 909 E 8th St, Panama City, FL 32401 with repass to follow.